ILX Group is assisting Solihull Metropolitan Borough Council to even out the different skill levels across its Information Communications Technology (ICT) staff. The contract, implemented in January 2008, involves putting its ICT staff through ITIL® Foundation training. The training programme encompasses all members of ICT including Service Desk, Application Developers and Project Managers training. "There were scatterings of knowledge of ITIL®. Some people had done ITIL® Foundation years ago; some knew a bit, others to whom it was an acronym. We put it out to tender and various companies came back with tutor based training, but we decided to go with ILX because of its e-Learning option. Putting our people through classroom training would have been impossible. People didn't have to book on the course and then disappear out of the office for three days. They could train at their own speed. ILX Group offered us the best value and flexible approach -- and in fact saved around 60% compared to tutor lead provisions." The timing of the implementation was fortuitous as the Council was in the process of rolling out their Oracle learning management (OLM) system. 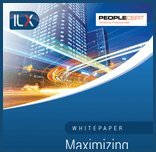 ILX's ITIL® solution integrated excellently with the Oracle system which held all employee training records. "The ILX system had to be compliant with the Oracle product as once it is installed the Oracle system takes over the management of the training product,"explains Andrew Kirk. It was the blended learning aspect that attracted Solihull Council to the ILX Group. "We knew we were going to be using the classroom training for some areas. ILX gave us the blend that we required. Some of our people are doing it at home, we've put some PCs in a quiet area so people can go and use it. It's as flexible as we can make it," says Andrew Kirk. "ILX gave us a very economical way of getting people through the training as everyone is doing it at their own pace. We've been able to prioritise groups that need the knowledge first, so for example the service desk needs to have the knowledge as quickly as possible so they are beginning it first. By the end of the year I expect everyone to have completed the training." Seven out of ten IT managers say they are not equipped to change over to ITIL® Version 3, according to research from ILX Group plc. This is despite the fact that the same number of IT managers (61 per cent), believe that having IT staff qualified in ITIL® gives businesses a competitive edge. "It is encouraging to see that companies such as Solihull Metropolitan Borough Council are providing their staff with the support to make the transition over to ITIL® Version 3 as smooth as possible. The fact that the organisation was trialing the Oracle system and our product could be integrated so successfully was extremely positive and made the implementation very satisfying for both parties."